Do You Want to Give a TED Talk? — DiResta Communication Inc.
Have you ever watched a TED Talk? TED stands for Technology, Entertainment and Design and It’s an annual conference of public speakers and experts who have “Ideas worth spreading”. This online format and coveted event showcases outstanding public speakers on a wide variety of topics. It’s highly competitive to be a TED speaker and very expensive to attend. But there is another option. 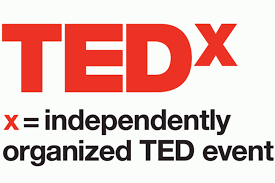 Many organizers have created a local brand called TEDx. These events may be produced in a state, city, university or other group. All TEDX organizers must go through a rigorous application process and follow the guidelines of the official TED brand. She decided to target TEDx talks in her home town in Kansas City. And then decided to think big and applied to speak at TEDx Paris. And to her delight she was accepted by both organizers. Contrary to popular belief, TEDx doesn’t seek professional speakers. That’s good news if you don’t speak for a living. The TEDx talks you listen to aren’t messages you hear in other places; they are a unique version, an idea that may be way “out there”. That’s what makes the talks interesting. In other words, talking about your expertise or topic will not get you in the door. Generic topics and expertise are not desirable for the TEDx audience. It’s not about delivering data and tips. You don’t even have to be an expert to speak at a TEDx event but you do have to share an experience with your unique angle. According to Frank King, a comedian and TEDx speaker, there are a number of reasons speakers are rejected from the TEDx application process. Speakers may think they have a good idea but it’s not worth spreading. The focus should be on the payoff. What is the payoff for the audience? A personal story is not a TEDx talk. Another mistake is having a poor title or subtitle. Barbara’s talk was entitled, “Stop Being Yourself”. This contrarian title grabbed the attention of the organizers. The talk should be one main idea. And if the video doesn’t grab them in the first few seconds you won’t be considered as a speaker. Another reason for being eliminated is when there is a theme and your topic isn’t a fit. Finally, be sure to explain why YOU are the person to give the talk. Yes, being invited to give a TEDx talk is highly competitive but not impossible. Research the upcoming locations and organizers, determine if your idea is a fit for the theme or venue. Then come up with an attractive title and produce a video clip that shows you in the best light. Even if it’s not a go on the first try, don’t give up. Tweak the title, test the idea, get feedback on your presentation and work with a coach. With some persistence, the right TEDx venue is waiting for you.